The islands of St Kitts and Nevis are renown for their beaches of sugary sand. 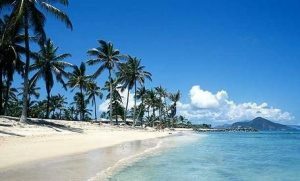 Of the two, Nevis is especially well-known for its tranquility and natural beauty. 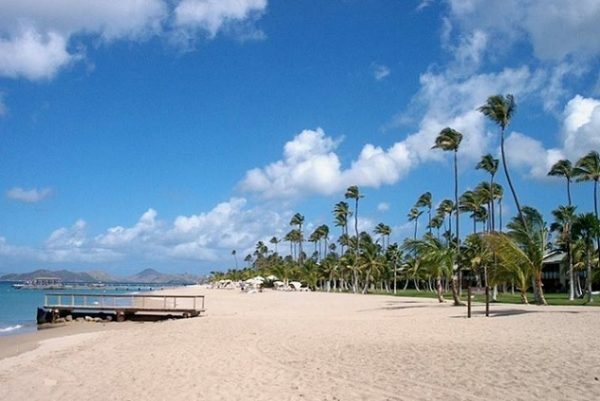 In general when visiting Nevis, the best non-crowded beaches are found on its western and northern shoreline. With the beautiful beaches surrounding the island, you are sure to find one you like. Here are a few popular ones found there. Lovers Beach is a secluded Beach known for its great views of the Caribbean and sister island St. Kitts. In addition, this mile long beach is known for its romantic appeal. Lover’s is not good for swimming, but the beach is good for sunbathing. This beach has no facilities and is hidden from the main road. This is a white sand beach located near the Nisbet Plantation Beach Club. Nisbet Beach is used by guests staying at the beach club, but it is not private. Popular activities include swimming and sunbathing. 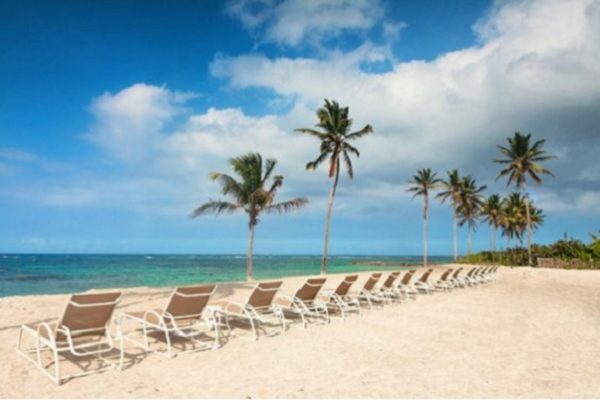 This palm lined beach is one of the most popular beaches on the island. The northern part of the beach is backed by the cottages of Oualie Beach Resort. This is a laid-back place, known for its sunset views. If interested you can get a massage, go cycling or fishing. In addition, there are facilities for water sports too. Pinney’s is an internationally known beach located on the northwestern side of the island, extending three miles from Charles town to Cades Bay. This is the party beach of Nevis, but is big enough to have your own quiet spot for relaxing, walking or swimming. Also, with the various eateries, bars and resorts found there including the Four Seasons, you are sure to find something you enjoy. Located in the southeast corner of the Island, Windward Beach is an isolated windy beach that is popular with dog walkers and travelers; there are no facilities here. If you like out of the way places this beach is for you.